Pick-Up available from Brooklyn Arbor, PS 84, Williamsburg Northside & PS 132. 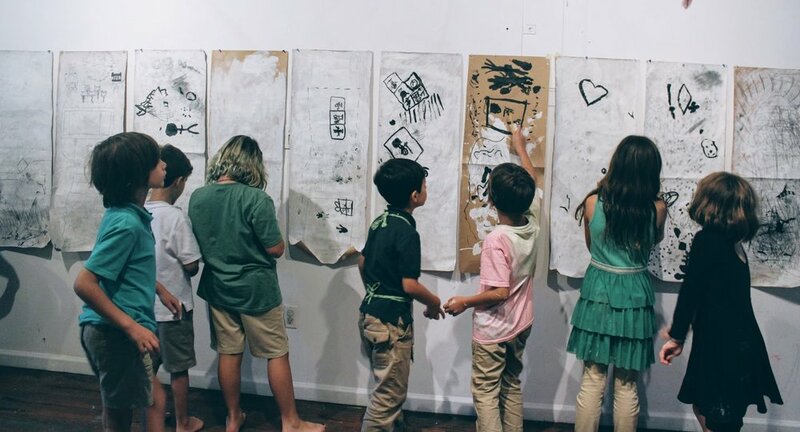 In this advanced session series for upper elementary, young artists go on ‘Art Trek’ field trips to galleries, artist studios, and/or museums throughout the semester. On studio days at The Painted Cloud, projects often take inspiration from the artworks seen and discussed on the Art Treks. During the semester, young artists meet/connect with one additional artist invited by our teaching artists. Our young artists go to the artist’s studio or see a show in our city featuring this artist (or both!). Young artists create their own concepts & long-term projects inspired by this visiting artist. In this intimate group format, teaching artists give individualized assistance throughout the life of each project and arts investigation. Instruction in tool skills, techniques, and project-planning strategies is a priority, while experimentation with materials is encouraged. Young artists receive guidance with how to incorporate unexpected results into their artworks and troubleshoot obstacles that arise in their processes. This guidance works hand-in-hand with continued practice of dialogue time - a short intentional time in the studio when teaching artists guide young artists in noticing the productivity of talking and the productivity of listening. Young artists truly grow in independence in this session series. They find freedom in having conversation with no hand-raising, independence in being able to get out materials they would like to use in the studio, and happiness in recognizing their own intuitive abilities in art-making and in relationship.